1077748 Features: -Square collection. -Pure white color. -Stackability for cupboard space efficiency. -Break and chip resistance for carefree durability . -Patterns won't wash, wear or scratch off . -Microwave and oven use for versatility . 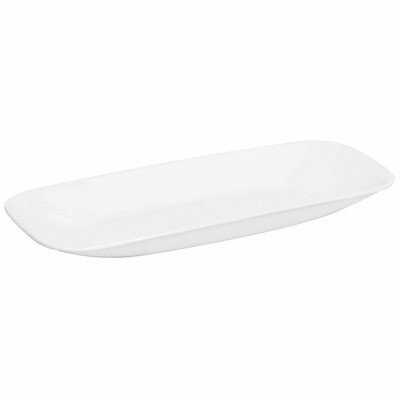 Product Type: -Platter. Color: -White. Material: -Glass. Pattern: -Solid color. Country of Manufacture: -United States. Dimensions: Overall Height - Top to Bottom: -1.13". Overall Width - Side to Side: -10.5". Overall Depth - Front to Back: -4.5". Overall Product Weight: -0.583 lbs.